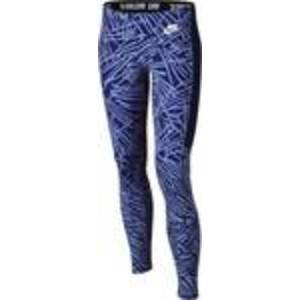 The Nike Leg-A-See Printed Younger Girls' Leggings are made with a stretch cotton blend and ergonomic seams for a comfortable fit that moves with you. Fabric: Body: 87% cotton/13% elastane. Panels: 57% cotton/32% polyester/11% elastane.